Over 100 of you were our Splash Ambassadors during 2013 and a great time was had in Spain and Scotland by all. Thank you all for taking part and the feedback and help you gave us was excellent. From discussions with many of you it was obvious that you loved this unique small group, huge value program so we have extended it to five different mega value adventure offerings covering five very different countries! We are offering this to just 192 guests for 2014 which is just over 1.5% of our yearly customer base so you guys and girls really are the ones with a huge taste for as much adventure as you can squeeze into a year! It is on a first come first serve basis. Remember every offering below includes unlimited use of Splash Scotland for a year plus at least 1 week multi activity adventure in Spain. These are very simply the best value adventure trips available by a very long way! This was the one that got us going last year. So same again. Unlimited use of Splash Scotland all water , mountain biking and paintball activities for all of 2014 plus one week multi-activity at our luxury lodge in Spain on a B&B basis Cost £225 pp. We have 100 places available Between March 2014 and end of Sept 2014 Sat to Sat each week for Spain, Scotland anytime. Same as above but many of you asked if you could stay at Splash Spain for two weeks so on this one you will do the multi-activity week first then have a week to relax and do your own thing on a B&B basis. Cost £450pp We have 32 places available between March 2014 and end of Sept 2014 Sat-Sat. Scotland anytime. A year of activities at Splash Scotland, your one week multi activity break at Splash Spain and then a two week adventure holiday in Israel trekking the Israel National Trail and Negev desert. We spend some time visiting Jerusalem prior to the trek and finish at the Red Sea resort of Eilat. You fly into Tel Aviv from London and flights can be had from £200 return with Easyjet. Dates for the Israel section of this trip are 3-17 May and 4-18 Oct 2014 minimum of 6 and max of 12 per trip. Cost £850pp includes all transport in Israel and full board on trekking days where we will be camping. In towns we will be in simple guest houses on B&B basis. During the trek it is day sacks only, heavy gear will be transported each day. Our ultimate Ambassadors trip for 2014 will still give you a year of using Splash Scotland and of course a one week multi activity adventure at our Luxury Finca in Spain and then in August 2014 we will be heading for the desert in the sky that is Ladakh for two weeks This little known region of the Himalaya is stunning for trekking and lets you experience high altitude as we will reach in excess of 5500 meters on the trek. We spend 1 night in Delhi on the way there and back and several nights acclimatising in the small town of Leh before heading for the mountains. 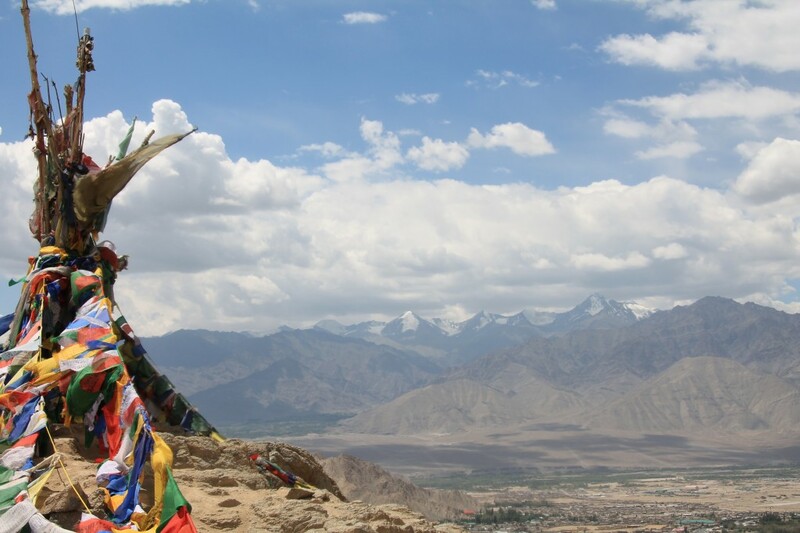 Dates are 16-30 August 2014 for the Ladakh trip and we need a minimum of 6 and a maximum of 12 people for this trip. Cost £999 includes hotels before and after trip in Delhi and Leh on B&B basis and full board on the trek which is camping with 2 people to a tent. Day sacks only for walking, mules take heavy gear. We want you to visit us in Scotland at www.rafting.co.uk as many times as possible during 2013 to do as much white water rafting, canyoning, river bugging, stand up paddle boarding and duckie canoes as you can. Also a wee bit mountain biking and trekking. Offer closes When we reach 192 Ambassadors. Any questions just email Peter or Kevin @ info@rafting.co.uk or call me on 01887 829706 or my personal mobile at 07715 630843 and make 2014 a year of adventure. Adults over 18 only for trips involving Israel, Morocco, India for Scotland and Spain those taken part must be 12 years plus. You will sign disclosures on all adventure activities, You give us permission to take photographs and videos of you, You are happy to take part in interviews and answer our questions and provide feedback so we can further develop our trips, activities and destinations in the years to come. We do not provide flights but we will advise on best routes etc. In Spain we can arrange for collect and return from airport for a fee. On the Spain/Morocco weeks collection from Alicante airport and departure from Valencia airport is included. Cost of Visas and insurance is not included.